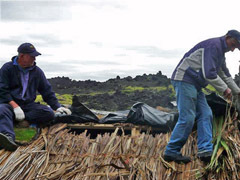 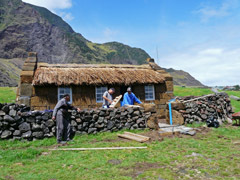 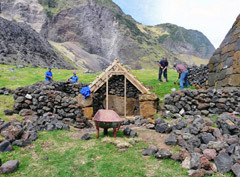 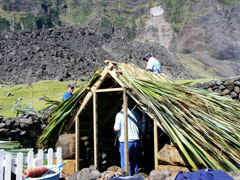 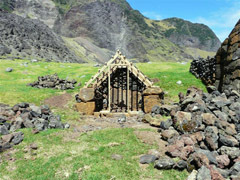 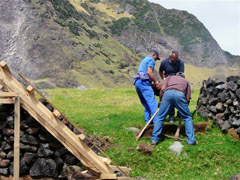 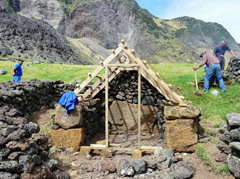 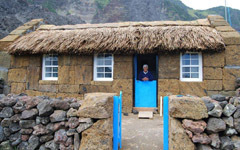 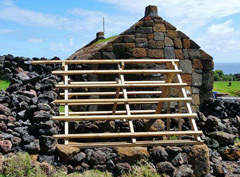 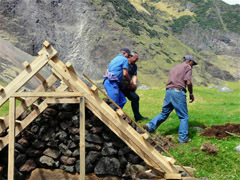 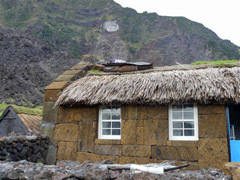 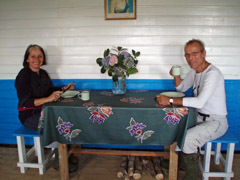 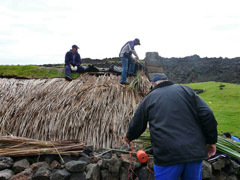 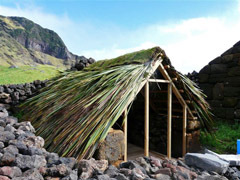 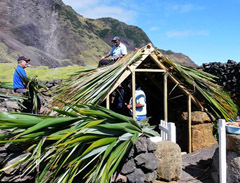 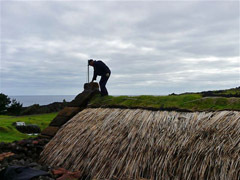 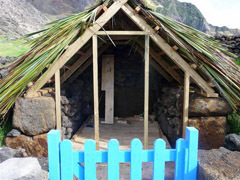 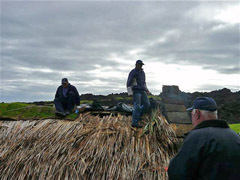 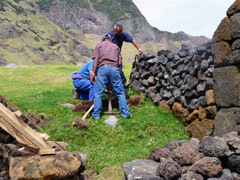 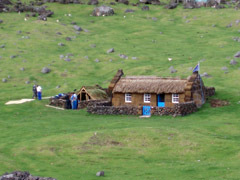 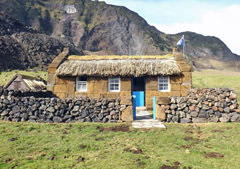 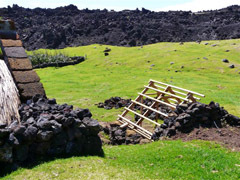 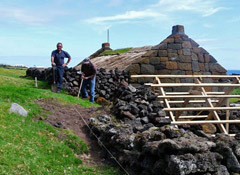 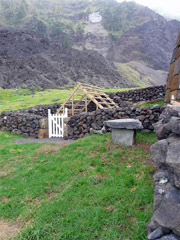 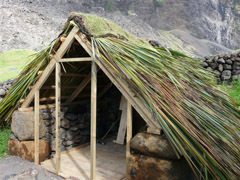 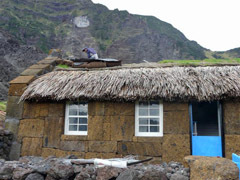 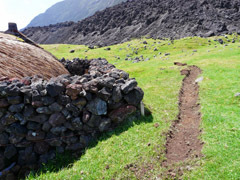 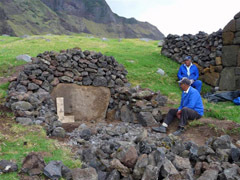 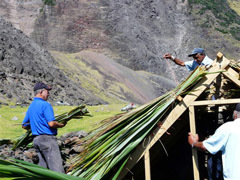 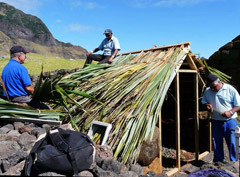 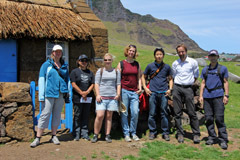 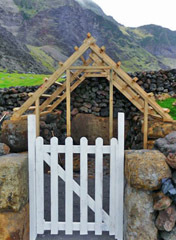 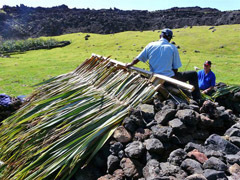 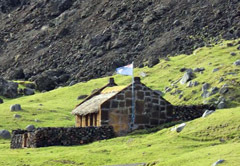 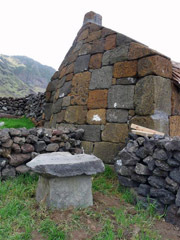 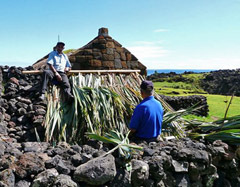 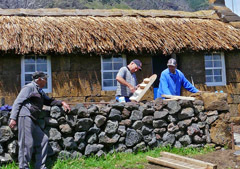 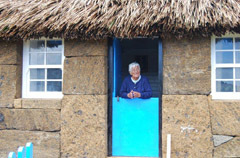 The Museum is a traditional Tristan cottage newly built from volcanic rock and thatched with New Zealand flax, It was opened in 2012 and is available for overnight stays. 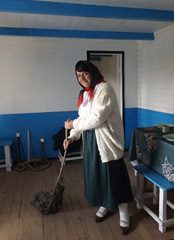 Shirley is the latest member of staff to be recruited to work in the Post Office and Tourism Centre. 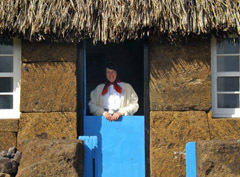 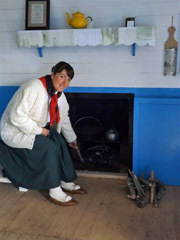 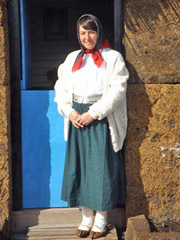 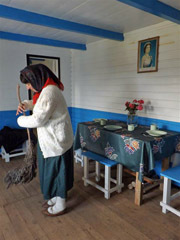 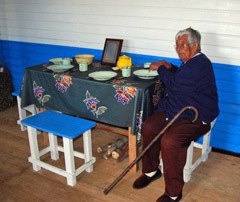 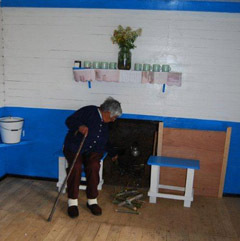 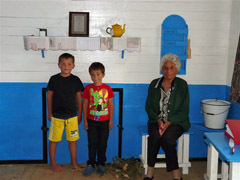 Shirley is shown here in traditional dress to add an authentic atmosphere when she opens the Museum to visitors. 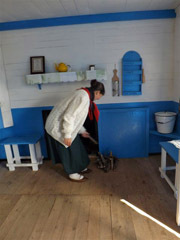 Photos from Tina Glass show, above, the new sign and views of the museum, and below Shirley shows visitors around the house in style. 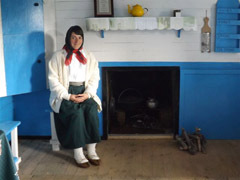 and we look forward to a photo of a demonstration before long! 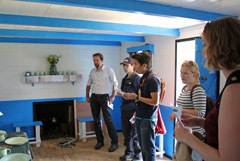 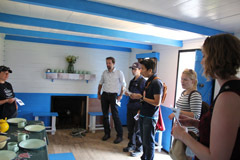 One of the first groups to visit the Thatched House Museum were from the German research vessel RS Maria S. Merian made a successful visit on 9th January The photos from Wolfram Geissler show Dawn with the German guests at the museum that day. 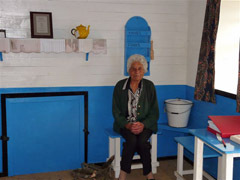 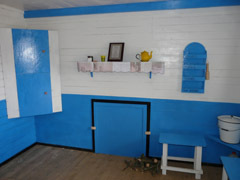 Ellen (Helen) gave a wonderful tribute to the authenticity of the new building when she said "my house was painted just like this when my daughter Catherine was 21". 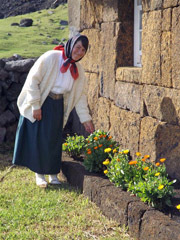 and Ellen born in 1918. 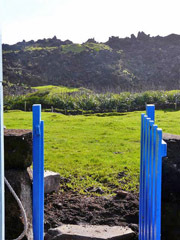 Readers will be intrigued by future plumbing and sewage arrangements to be installed later! 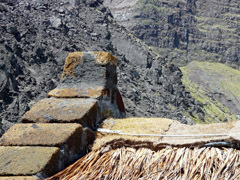 volcano and out to sea. 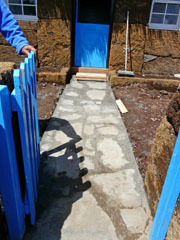 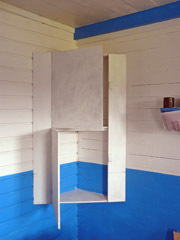 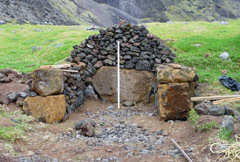 Right: A view of the washing stone and outside toilet enclosure. 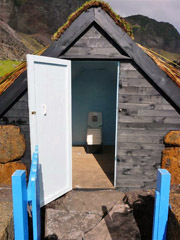 Just the place for a leak perhaps? 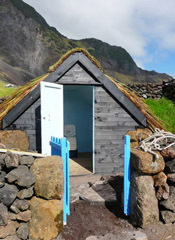 Loo with a view ! 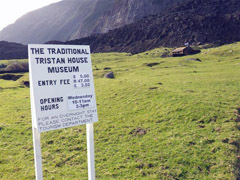 to ensure the turf is secure enough to withstand the Thatched House Museum's first Tristan winter.